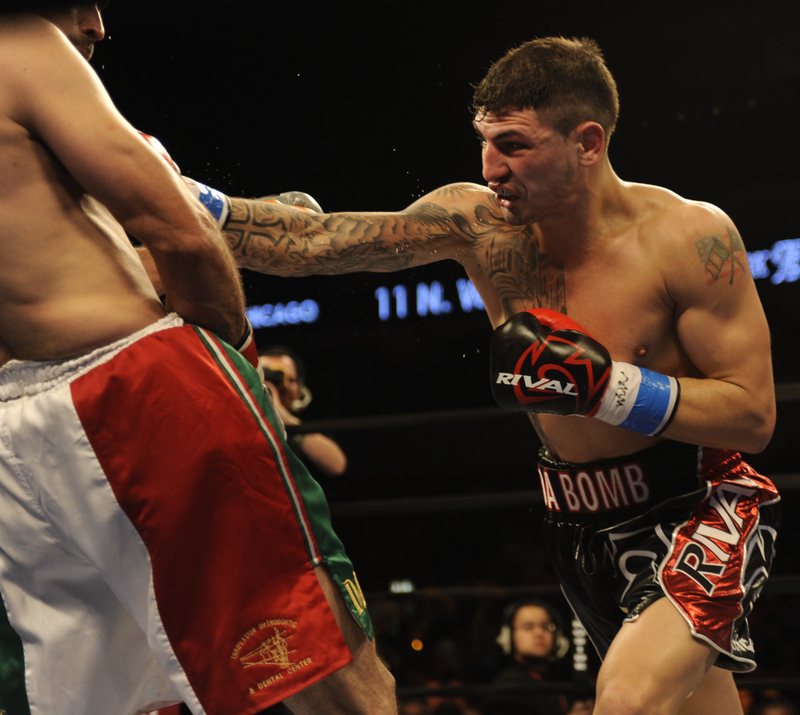 Mike ‘Hollywood’ Jimenez, Donovan ‘Da Bomb’ George Co-Headline Rosemont Rumble! 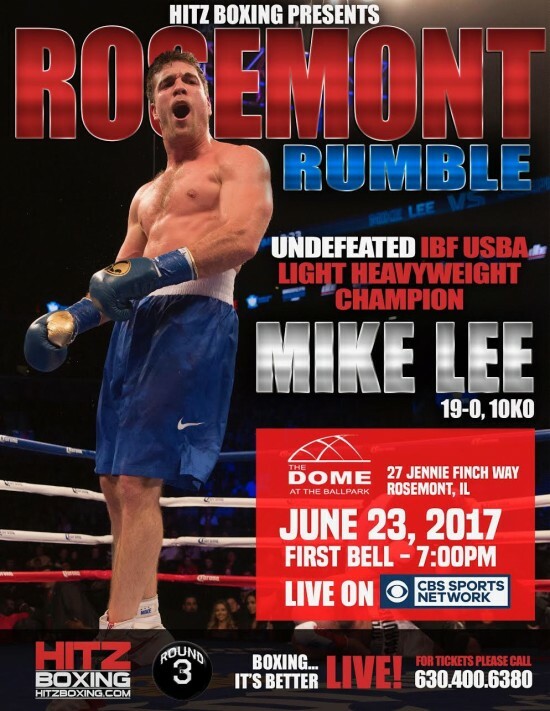 Chicago, IL (June 19, 2017) Chicago fan favorites MIKE “HOLLYWOOD” JIMENEZ, (20-1-1, 14 KO’s) and DONOVAN “DA BOMB” GEORGE, (25-7-2, 22 KO’s) will co-headline at the ROSEMONT RUMBLE in separate bouts this Friday, June 23 at “The Dome at the Ballpark” in Rosemont, Illinois, just outside of Chicago. Mike Lee Returns to Chicago Friday, June 23rd! CHICAGO, May 16, 2017 — Undefeated and World Ranked MIKE LEE, (19-0, 10 KO’s), will defend his IBF-USBA Light Heavyweight Title and seek his landmark 20th victory in his hometown of Chicago facing off against AARON “Quiet Storm” QUATTROCCHI, (10-1-1, 5 KO’s) in the 10-round main event on Friday, June 23rd at ‘The Dome at the Ballpark’ in Rosemont. 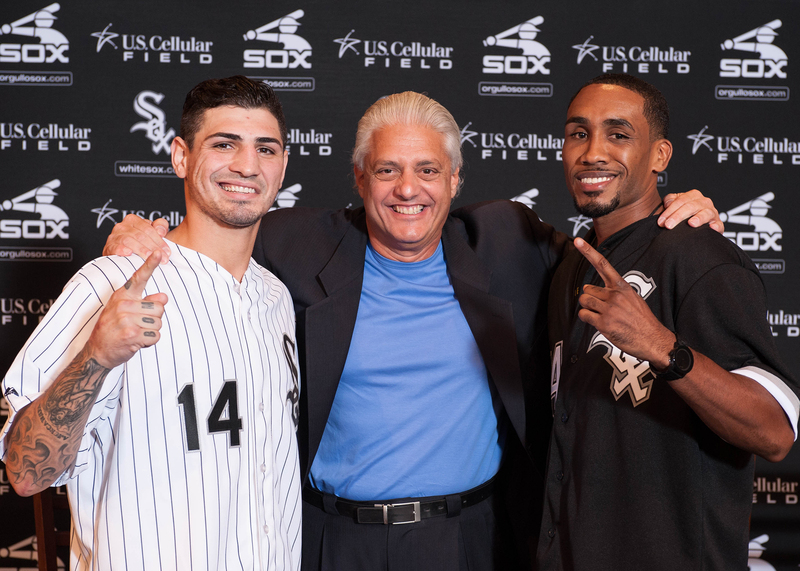 CHICAGO, IL, August 21, 2014 — Just days before from the highly anticipated “B96 Boxing at the Ballpark” event set for this Saturday night, August 23rd at U.S. Cellular Field, Home of the Chicago White Sox, the main participants held court at the Final Press Conference. 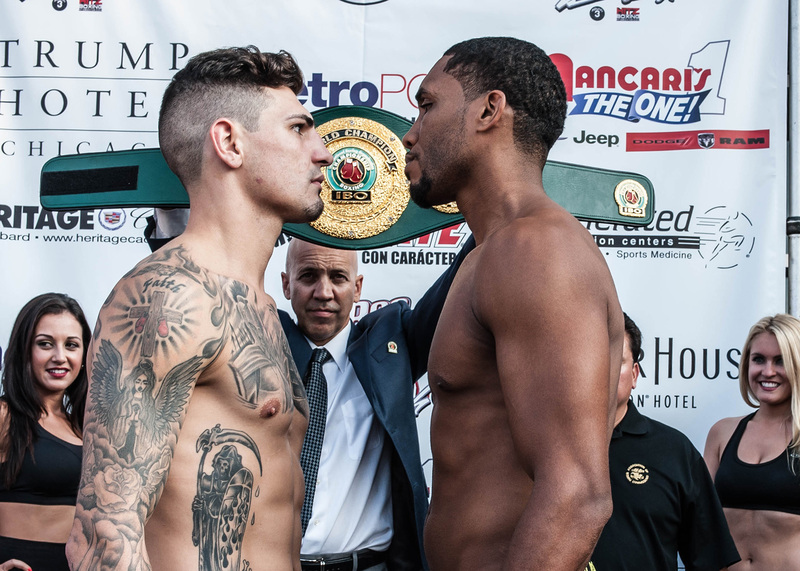 Tickets Available this Saturday for Donvan George vs. Dyah Davis for IBO Super Middleweight Title at U.S. Cellular Field on August 23rd! CHICAGO — The Windy City’s most popular boxer, DONOVAN “Da Bomb” GEORGE will face top contender DYAH “Ali” DAVIS of Coconut Creek, Florida for the vacant International Boxing Organization Super Middleweight World Title on Saturday, August 23rd at ISFA’S “Boxing at the Park” at U.S. Cellular Field, Home of the Chicago White Sox, it was announced today.